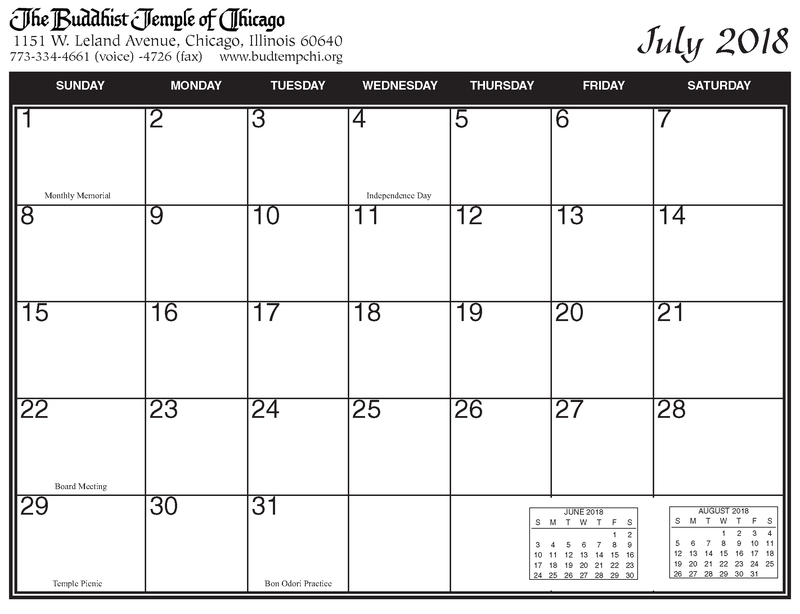 This printed calendar is provided online for those who need more than a month’s notice on certain special annual events and holidays. Because this calendar was published in December of 2018, please note that it does not include classes and is always at risk of being outdated, especially as we get later into the year. Check Facebook and the current calendar page (updated monthly for the BTC Bulletin) for the most recent dates. Note: The following images are in REVERSE order (January 2020, December 2019, on down through January 2019). 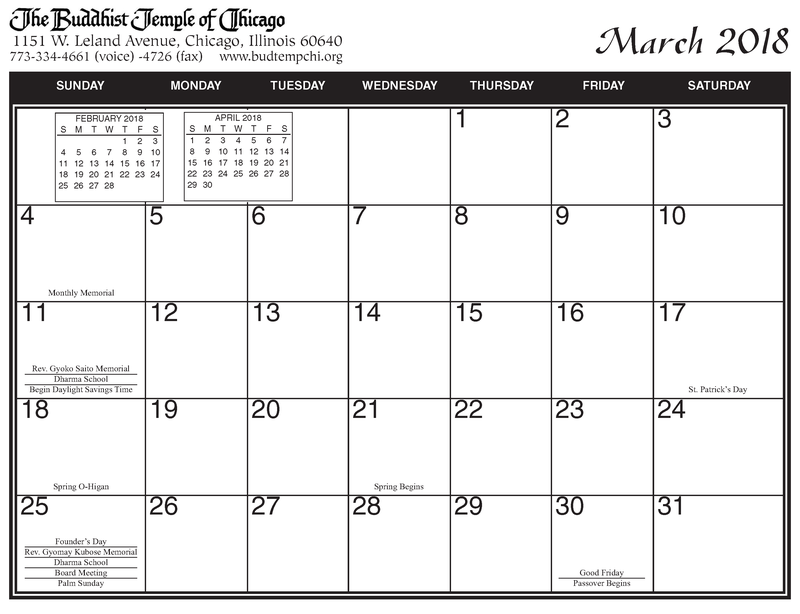 Click the month for a larger image. Hot off the presses, get your FREE 2019 Calendar! It’s time for our annual calendar mailing! 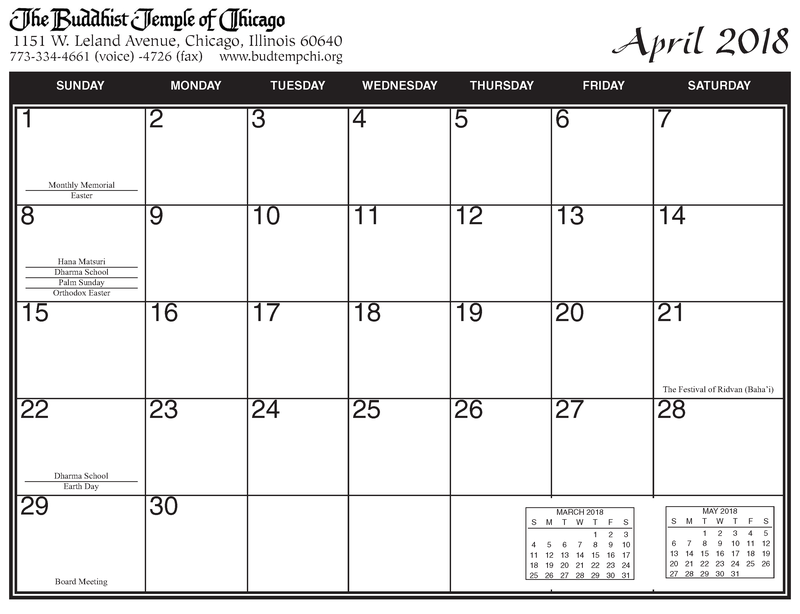 If you no longer receive the printed Bulletin, you are in danger of NOT getting this calendar, and that would be a tragedy. Please send an email to btcbuledtr@hotmail.com with your name and address to ensure that you get it. Special Event: Mochitsuki on Dec 16, 2018 – Come pound rice with us and purchase some fresh chewy mochi. Got a PayPal account? Donate online! Go to budtempchi.net. 2019 Membership Form – Don’t forget to pay your membership fees for 2018, 2019 is now coming due. Got a PayPal account? Now you can donate online! Go to budtempchi.net. Corrected: November 2018 Bulletin & Calendar links plus special guest November 18! 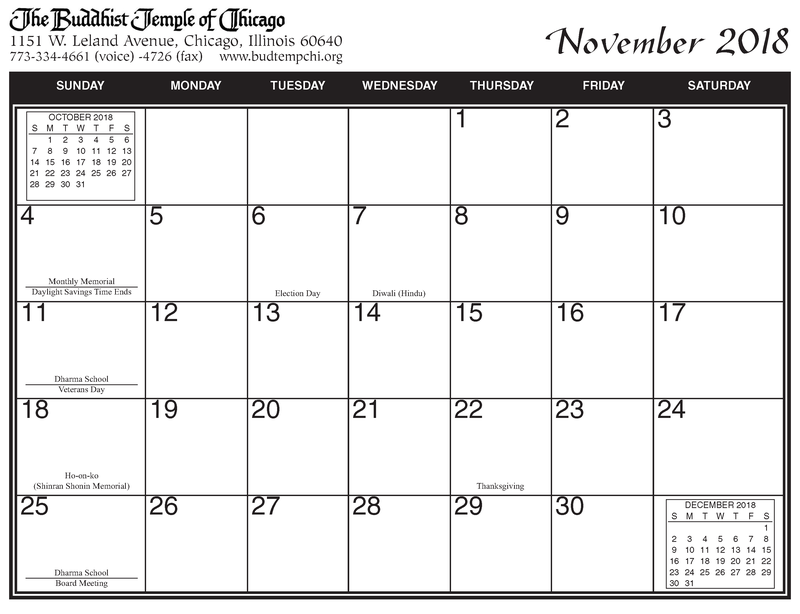 Correction: The last newsletter had the October calendar instead of the November calendar. My apologies. Below is the updated newsletter. Reminder: Don’t forget to donate! For members paying in quarterly installments, Fourth Quarter Membership fees are due. 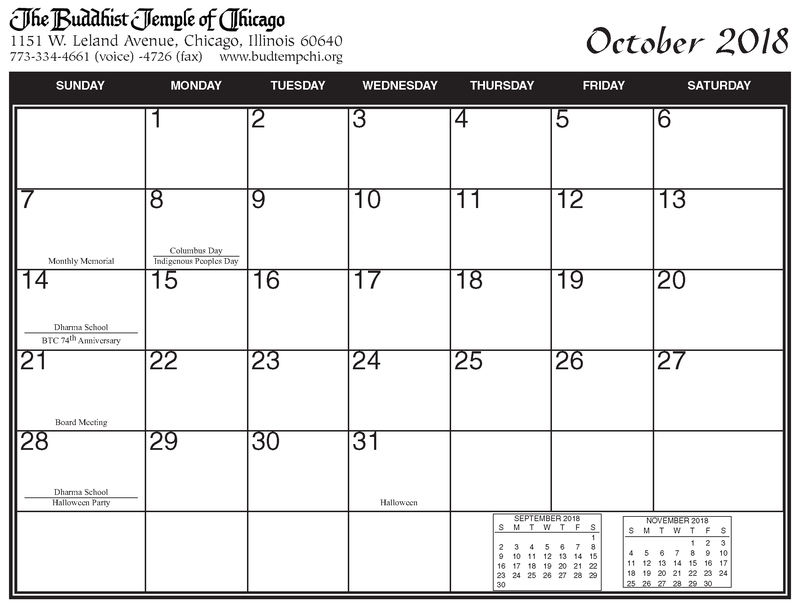 October 2018 Bulletin & Calendar links plus Open House Chicago volunteers needed! Volunteers are needed for Open House Chicago! Click here for information on how to volunteer. Last year we received more than 700 visitors! Here is our listing. Open House Chicago 2018 Volunteers Needed! September 2018 Bulletin & Calendar links plus Book Sale & Breakfast! The Book Sale and Breakfast are coming up! Drop off your donations at the temple and come by to browse the offerings on Saturday. We already have a lot of great books, and they are priced at a steal. Sunday morning, browse the selection as you enjoy your back to school breakfast. See the flyers for more info. The temple will be closed Labor Day weekend. Don’t forget to donate! For members paying in installments, Fourth Quarter Membership fees are due. Lot of things exciting things are happening in August and September! Many groups are on limited summer hours or summer break, so please check the most calendar and Facebook for updates. Back to School Breakfast – September 9! Book Sale September 8 & 9 – Volunteers, Donors, & Shoppers Wanted – Start saving books, CDs, and DVDs now! Reminders: Third quarter membership fees are due! (Of course, you can make donations at any time.) Also, note that many groups are on limited summer hours or summer break, so please check the most recent calendar and Facebook for updates. The temple will be closed Labor Day weekend. BTC Bulletin, April 2018 – Special Flower Festival Issue! Membership 2018 form – Support the temple and/or renew your membership! And Then They Came For Us, special film screening April 21 hosted by Asoka Society – Free for all! Starts 1 pm. Due to the Superbowl, the recently announced new Aikido class will launch on February 11 rather than on February 4. Also, note that the calendar should have included the Aikido class from 5 pm to 7 pm on Sundays, February 11, 18, and 25. Click for larger image. 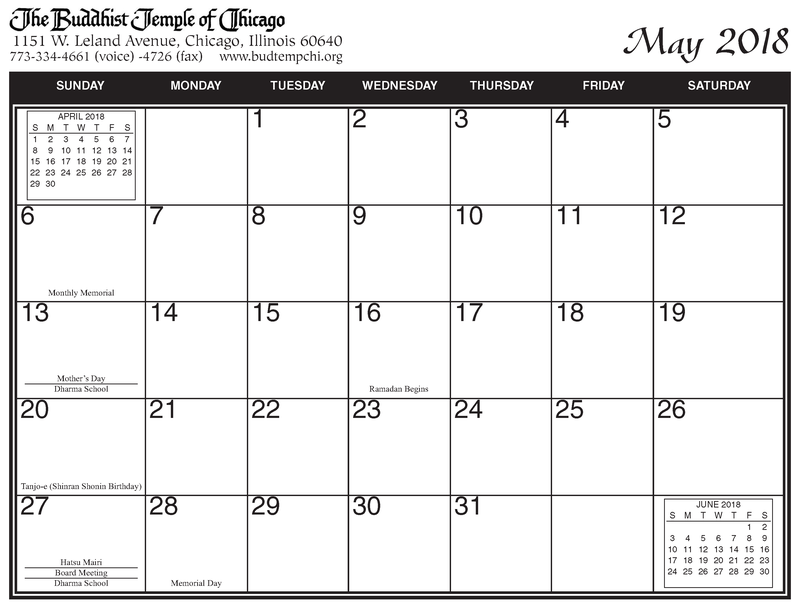 Links to other calendars below. 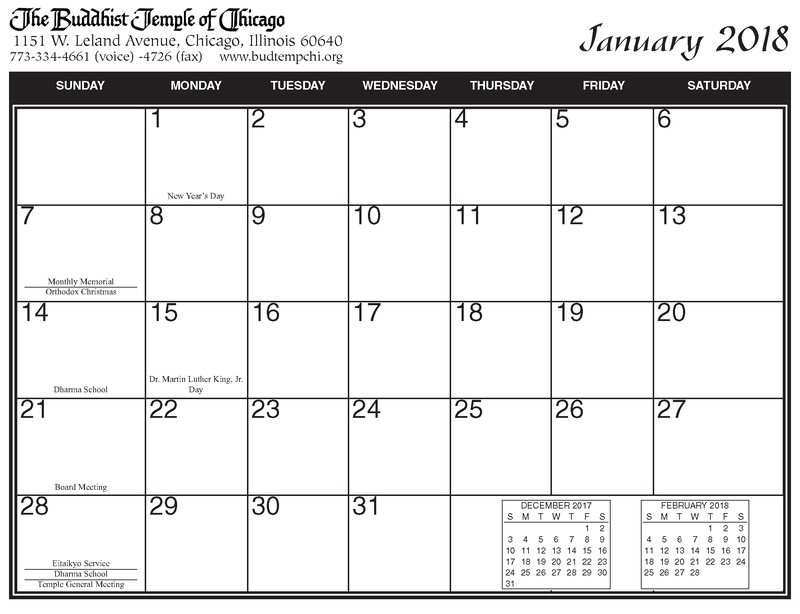 Printed yearly calendar – This calendar becomes more outdated as the year wears on, but people requested that it be available to check special events scheduled in the distant future. This printed calendar is provided online for those who need more than a month’s notice on certain special annual events and holidays. Because this calendar was published in December of 2017, please note that it does not include classes and is always at risk of being outdated, especially as we get later into the year. Check Facebook and the current calendar page (updated monthly for the BTC Bulletin) for the most recent dates. Click individual months to see larger versions. 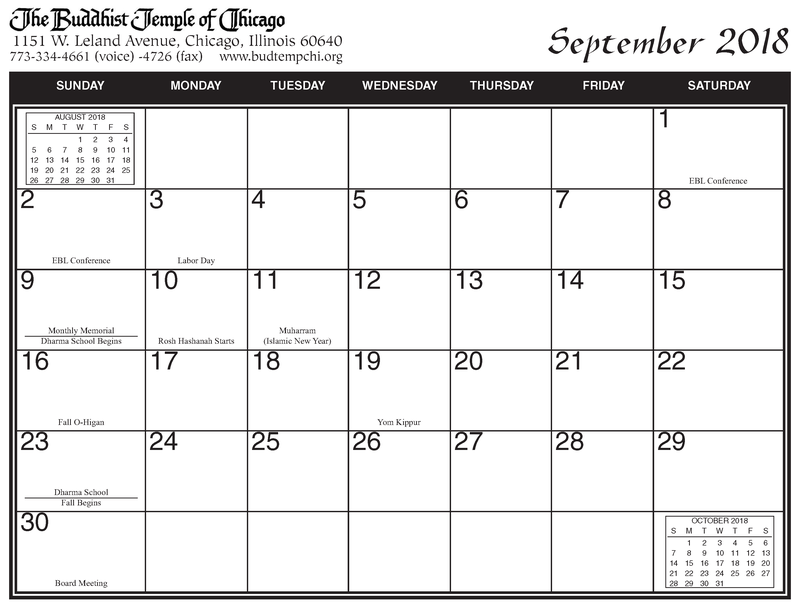 Click calendar image to see a larger version. 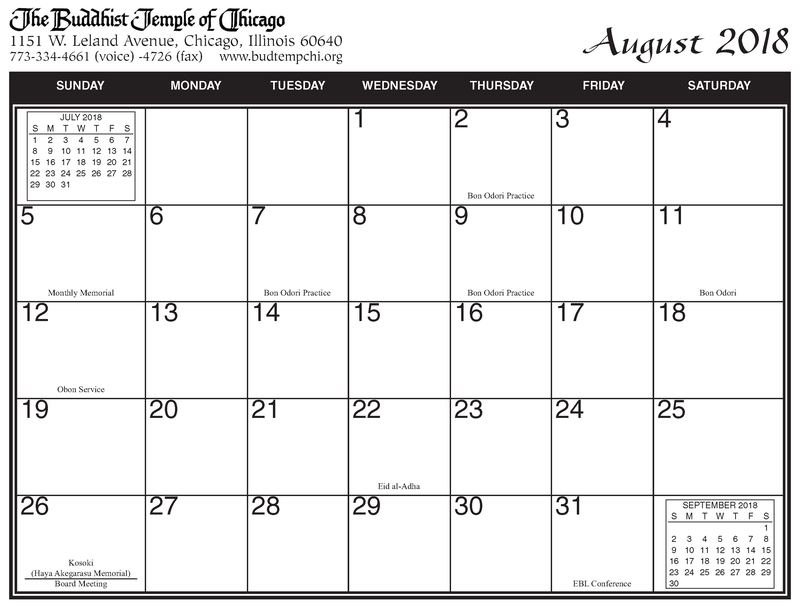 Click here for full list to all calendars.